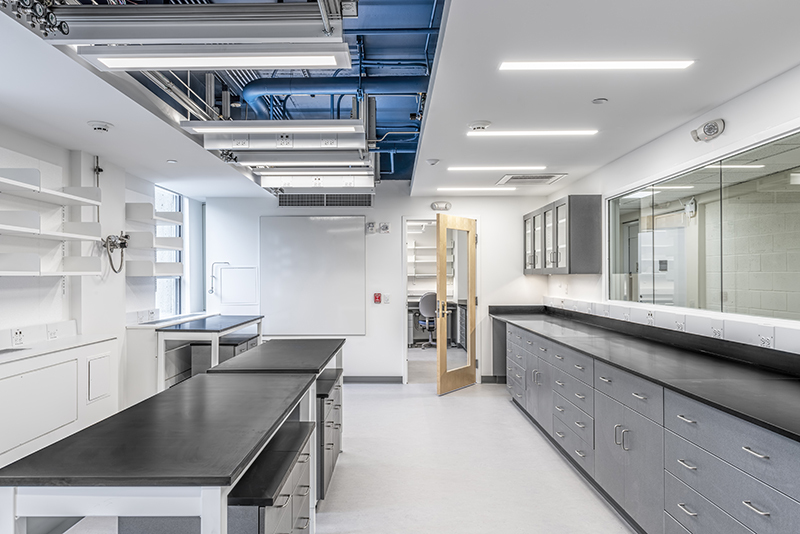 The Johnston Lab, located in Harvard University’s department of Earth and Planetary Sciences, currently houses experiments to uncover information about the Earth’s Biogeochemical history. The third floor fit-out required extensive reworking and coordination of utilities. Wise modified the existing infrastructure and added new infrastructure to accommodate the requirements of the lab. The lab required a new HVAC system and a pre-action fire protection system. Additionally Wise installed new stainless steel piping for lab gases as well as all new lab casework. 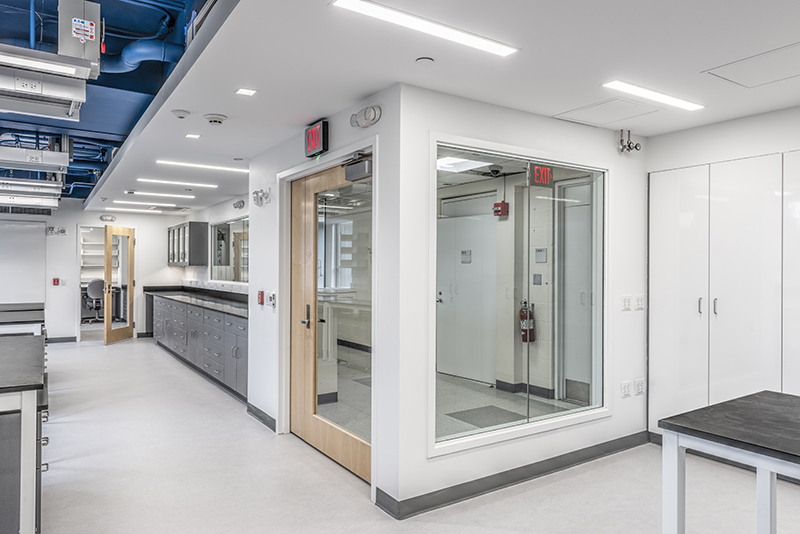 The renovation took place in a fully occupied lab building with continuous active and sensitive research. It was necessary for the Wise team to manage and organize shutdowns during off hours. During shutdowns Wise utilized a temporary generator, this minimized any disruptions to the active labs. A new air handler and exhaust fan were installed on the roof which required a crane pick in a busy area of the Harvard Campus. Architect Perkins & Will .